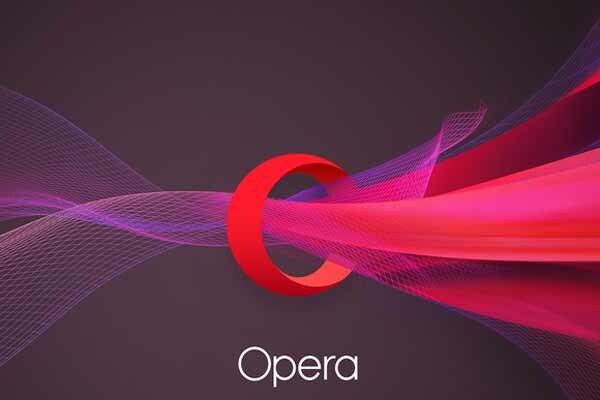 Opera, a software company has presented a built-in ad-blocking feature in its internet browser that would enable users to surf the web without viewing ads that would be depriving websites of its revenue. The software company had announced the feature recently stating that the tool would enable users the option of choosing to block ads from a particular website or not, at the time of browsing the internet. The company also states that utilising the ad blocker on its browsers would load web pages 90% quicker than using Internet Explorer and 45% faster than using Google Chrome with ad-blocker extension. According to web analytics service StatCounter, about 5% of the internet browsing is done by using Opera. Google Chrome in comparison seems to be the most used browser with 45% of action. The company had explained in a blog post, the reasons for the introduction of the tool was to progress the consumer experience and send messages to advertisers that the internet ads seem to be too big and disturbing. Krystian Kolondra, senior vice president of global engineering for Opera had mentioned in a blog post that `presently bloated online ads use more download bandwidth causing webpages to load slowly, at time covering the content that one is trying to see or trying to trick into clicking `fake download buttons’. He added that another rising concern was privacy and tracking of online behaviour. Though ad-free browsing tends to be faster and much more convenient for web users, websites seem to end up paying a price.By default, ad-blocker is activated but when a page with adverts tends to get loaded, a pop-up seems to appear prompting if one would like to block ads and surf the web faster. If the blocking is turned on, users will be able to view how much load time has been saved. They could also add some sites to an exception list enabling adverts to run if they choose to support. As per a report by PageFair and Adobe, ad-blocking charge digital publishers an estimated $22 billion by way of revenue in 2015 with about 198 million people all over the world utilising the software. Due to the rising response of ad-blocking, the New York Times had started testing a system recently which identified visitors to the news site utilising ad-blocker, asking them to buy a subscription or whitelist the site. 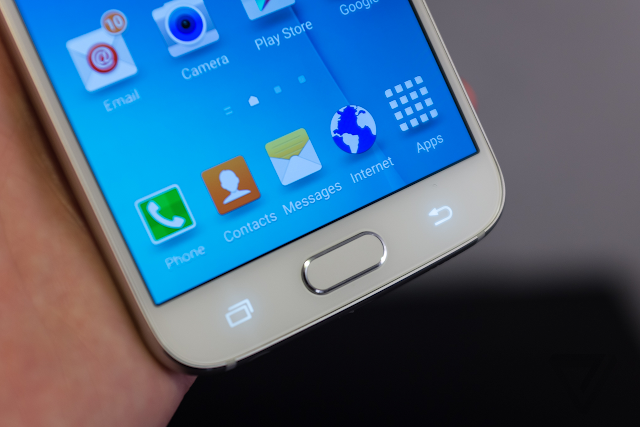 Opera had followed Samsung and mobile phone Company `Three’ in employing ad-blocking services. Earlier, users had to download and install ad-blocking software. As per Eleni Marouli, senior analysts at HIS Technology, a trend of telecom companies are attempting to be included in the mobile advertising ecosystem.Marouli mentioned in a report that `Telcos have traditionally been just data `pipes’ that provided the infrastructure for mobile internet and hence mobile advertising. They had attempted to monetise content through advertising but had made little progress in claiming significant market share’. She further added that the ad blocking announcement by `Three’ had been a pleas to companies such as Facebook and Google to include Three and other mobile operators in the mobile advertising value chain. The feature is said to be available in the latest version of the developer browser and if the test tends to be successful, it would make it to the regular version. Latest form of the default web browser on Samsung’s Android phone will now enable users to install ad-blocker extensions that were an update by Apple in September which permits ad-blockers to be installed for the Safari browser as extensions. Samsung phones blockers would have to be added in the same way and would not come as standard. It is said that the new browser would be rolled out for Android Lollipop or advanced users. Well-known ad-blockers are already available for Samsung phone such as Adblock Fast and Crystal. Besides making web page less messy, mobile ad-blocking is considered to reduce the time of web-page loading as well as mobile data usage wherein the ad-blockers tend to improve the performance of browser by lessening to draw on phone batteries as well as data plans. `Consumers using ad-blockers would probably use other browsers than the default one’ according to Daniel Knapp, the advertising industry analyst at IHS and `it is nonetheless important for Samsung to jump on the ad-blocking bandwagon. It wants to show customers that it is a premium brand which protects them and Apple’. He also informed BBC that there had been a `seismic change in the ad industry, wherein the marketing budgets had been increasingly moved from traditional forms of advertising, for instance, to sponsorship deals. He also added that it was the most highly prized by advertisers, young as well as affluent users, who would in the first place, probably use ad-blockers. According to him it is an expression of massive consumer dissatisfaction in the way the ad industry tends to work. Ad-blockers tend to work by eliminating scripts in web page code which would then pull content from servers of ad networks. Around 18% of British adults online had been utilising some kind of ad-blocker in November and up 3% from June as per a report from the Internet Advertising Bureau – IAB. In the meantime, in the annual financial filing of Facebook, the social network had announced advertising earning of $5.64bn for the fourth quarter of 2015 though cautioned that ad-blockers could affect future profits, adversely.It stated that if such technologies tend to continue to thrive especially with regards to mobile platforms, the future financial results could be affected. However, Mr Knapp informed that companies like Facebook would be less likely than the other content publishers to get affected by mobile web ad-blockers since ads could be delivered through their third party apps. Thinking of ad-blockers being admitted to iOS 9, they were all completely focused on the in-browser environment and not for third party apps like Facebook. Samsung had been contacted by Business Insider asking for more information on why the company had released this update. Details are awaited and will be provided on receiving from them. Ad blocking apps had come to the top of App Store charts when the iOS 9 update had been released. Though some Wall Street analysts had first feared a worst case scenario, this was Apple against the whole mobile publisher and advertiser ecosystem. Though ad-block apps tend to get lots of downloads, the fraction of users utilising them on regular basis seems to be quite small. Android users are very familiar with mobile ads with many of them making their rounds on the internet. Advertisements are a source of revenue, keeping websites afloat but sometimes these advertisements could be very annoying. Knowledge on how to block these ads could prove to be helpful to the user enabling them to block unwanted ads that may pop up during usage. Blocking advertisements can be done on the major browsers used by Windows XP, Vista 7 and 8, Mac OS X and Linux users, Firefox, Chrome, Internet Explorer and Opera. The two system wide ad blocking methods can be used namely AdFender or HostMan to block ads on every browser as well as other programs like instant messengers, torrent software without the need of AdBlock Plus. AdFender, an ad-blocking program which operates independent of web browsers, installed as a Window program but not a browser add-on or extension, blocks ads on all the browsers, system wide. AdFender can also be used to block ads on Firefox, Internet Explorer as well as the latest v11 of IE, Opera and Chrome or even any other browser which may be used. Moreover it also blocks ads on instant messaging programs as well as torrent software. All that the user needs to do is to download and install AdFender which will automatically block all ads on Internet Explorer as well as other browsers. HostMan though not an ad blocking program, is a program that enables to modify Windows computer’s Hosts file and can be used to block ads since it is used to block connections to ad networks and the Hosts file. The process is easier than it sounds wherein one can click on a few buttons and it effectively blocks ads on every browser or program. Firefox is the easiest browser to block ads with AdBlock Plus and the only setup needed with AdBlock Plus is to select the ad-blocking filter which needs to be used. These filters are a definition list informing AdBlock Plus on which ads to be blocked. The need to select one of the filters is essential and after the initial installation, more than one filter could also be used though one filter would do enough to block 99.5% of ads. Though AdBlock Plus does blocks most of the ads on its own, if by chance it ever misses an ad, a right click on the ad, selecting AdBlock Plus: Block image, will enable to create a custom filter blocking the ad as well as similar ads to it. Block tab may pop up if AdBlock Plus misses a Flash or Java ad enabling to block it manually, since the user is unable to right click on those types of ads. AdBlock Plus has other useful features like the ability to disable AdBlock Plus on specific websites which can be done through the AdBlock Plus Button. AdBlock Plus the add-on for Firefox has now been ported officially to Internet Explorer and is easy to install. It starts blocking ads immediately without the need to setup anything after it has been installed.